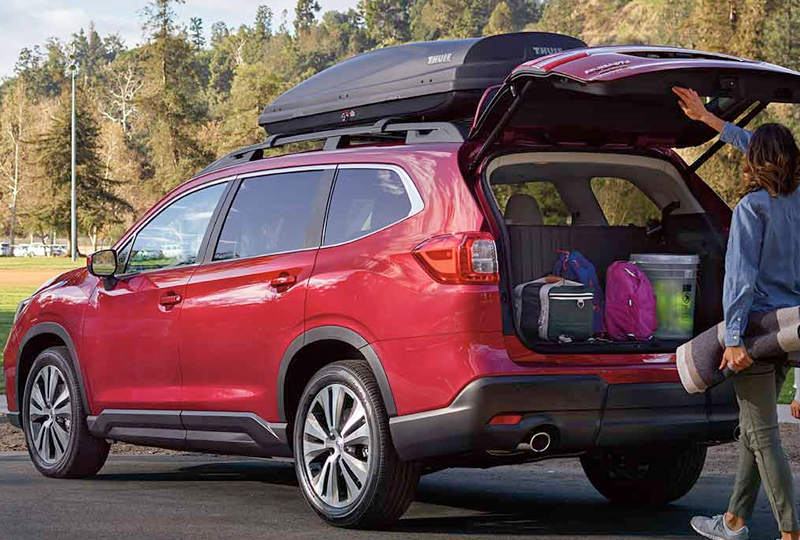 The 2019 Subaru Ascent from Briggs Subaru in Topeka, KS, serving Emporia, is a new 3-row SUV that has everything you need to chase after adventure. Turn heads with the bold, eye-catching exterior that has 8.7-inches of ground clearance for excellent off-road capability. 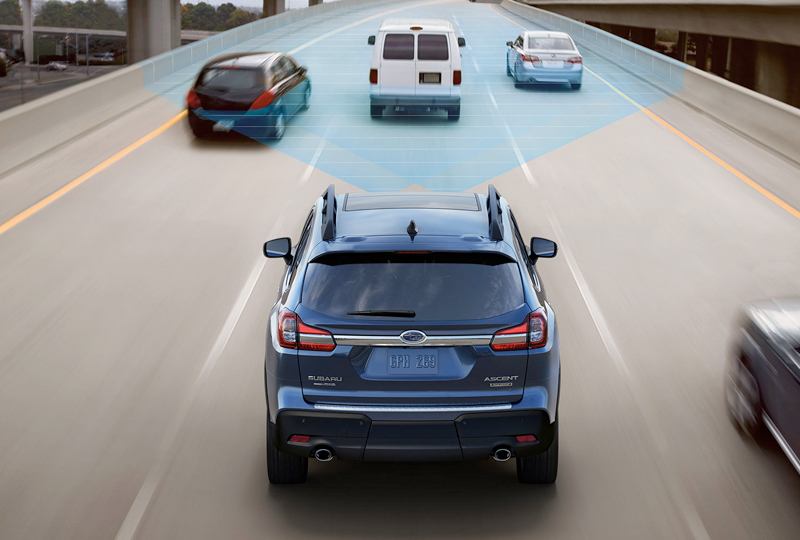 Get moving with the turbocharged Subaru Boxer engine that supplies every drive with 260 horsepower and up to 5,000 pounds of towing capacity.1 Command the road with standard, symmetrical all-wheel drive, which allows you to conquer difficult terrain and weather conditions with greater confidence. Find room for up to 8 passengers with the flexible seating and a spacious cabin. Enjoy a comfortable ride with durable soft-touch materials that also provide a premium look and feel. 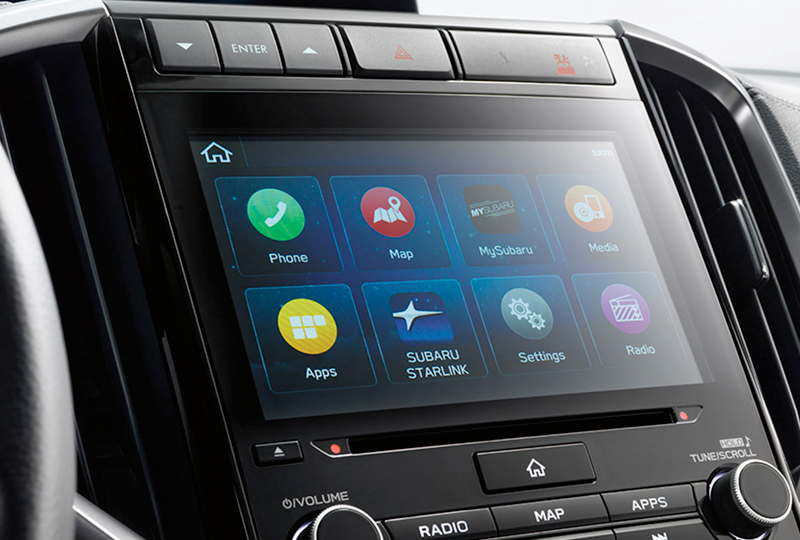 Make memories while singing along to your favorite songs, thanks to the Subaru Starlink Multimedia system with standard Apple CarPlayTM and Android AutoTM smartphone integration. Charge on the go with up to 8 USB ports inside your cabin, and get available Wi-Fi connectivity to make sure you're always connected to your world. There has never been a better time to drive home a new Subaru. Our models are priced to sell and new auto loan rates are at their lowest in years. 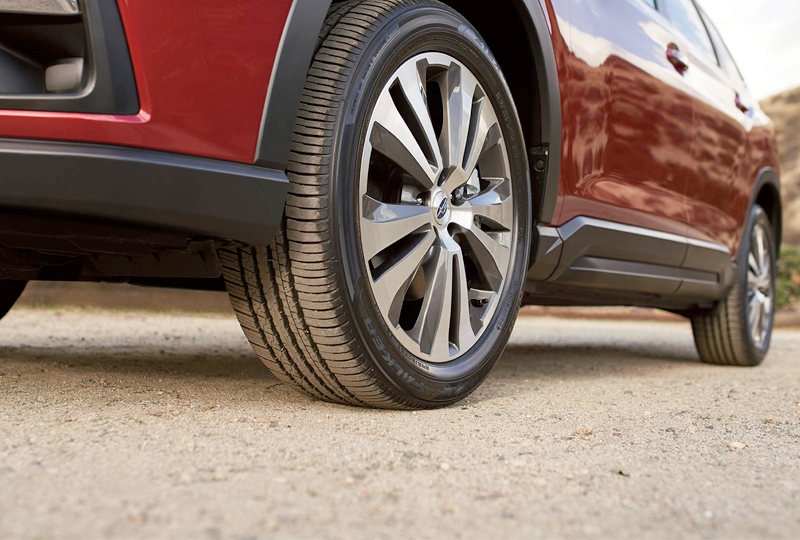 Take your 2019 Subaru Ascent test drive with Briggs Subaru by visiting the showroom located at 3115 S Kansas Avenue, Topeka, KS 66611. The available Power Rear Gate can be opened or closed with the push of a button on your key fob, or by controls on the dashboard or the gate itself - making it easier to access the cargo area even when both hands are occupied. The opening height can also be adjusted when clearance is limited. With standard Apple CarPlay™, Android™ Auto, and Pandora® integration*, plus SiriusXM® All Access Radio*, STARLINK Multimedia connects you to music, navigation, podcasts, and much more. Wireless pairing and hands-free smartphone operation allow for safe and easy access to your favorite apps and content, including STARLINK apps such as iHeartRadio®, Yelp and Magellan. A built-in, voice-activated navigation system powered by TomTom® and an 8-inch touchscreen are also available. *Manufacturer's suggested retail price does not include destination and delivery charges, tax, title and registration fees. Destination and delivery includes handling and inland freight fees and may vary in some states. Prices, specifications, options, features and models subject to change without notice. *Compatible smartphone and application required. For applications to operate, latest version of each application required. Data provided by smartphone is displayed on head unit screen. Some state laws prohibit the operation of handheld electronic devices while operating a vehicle. Smartphone apps should only be launched when vehicle is safely parked. Your wireless carrier's rates may apply. *Activation and required monthly subscription sold separately. Includes 4-month trial subscription. See your retailer.